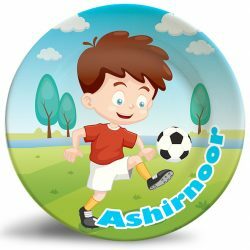 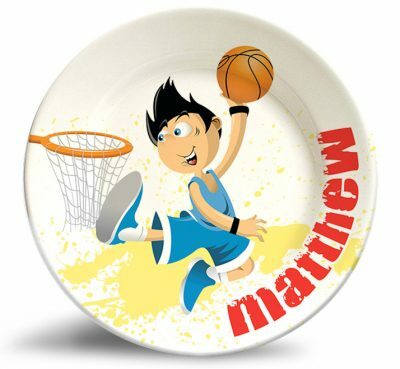 Personalize this adorable Basketball Boy name plate for kids! 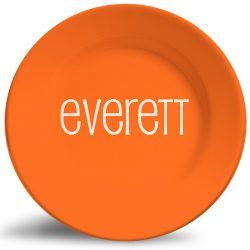 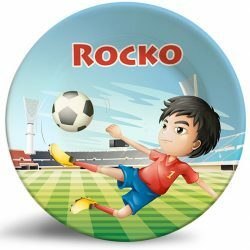 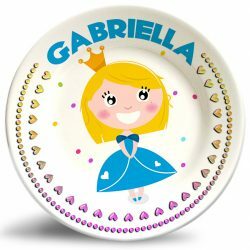 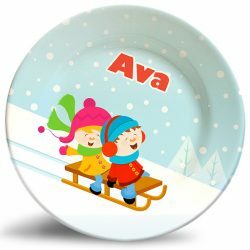 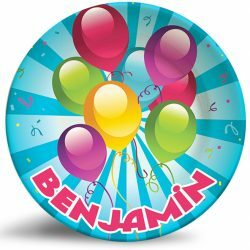 Our “Basketball Boy” personalized plate is a vibrant and colorful dinner plate that is dishwasher safe and will never fade. 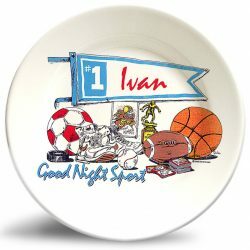 This colorful design is perfect for the super-active boy that loves sports! 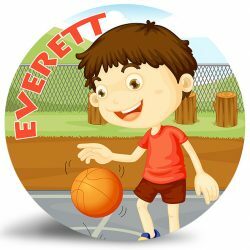 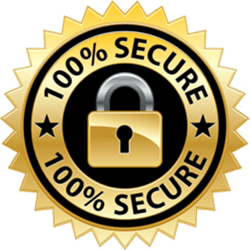 It encourages an active lifestyle that will reduce time lost in electronic devices. 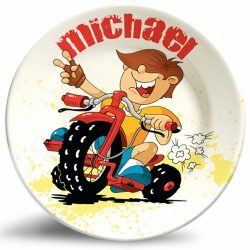 Great plate for my son. 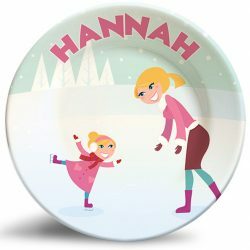 Could you possibly do some kind of dancing plates for girls though?